Is there a better alternative to Instalicious? Is Instalicious really the best app in Social Networking category? Will Instalicious work good on macOS 10.13.4? 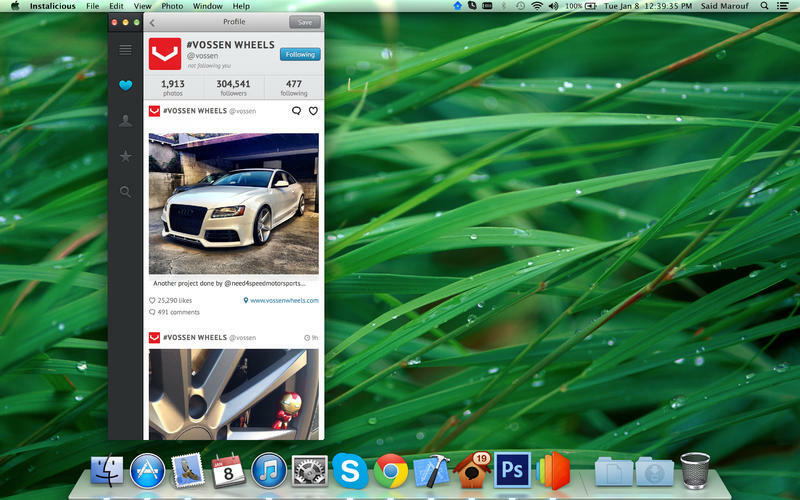 Instalicious is the elegant way to experience Instagram on your Mac. With its clean interface you'll enjoy browsing your Instagram feed, photos, popular photos, photos you've liked, and more. Instalicious is Retina ready and supports a rich gesture based interface that allows you to easily maneuver within the app. A rich set of keyboard shortcuts is also supported. 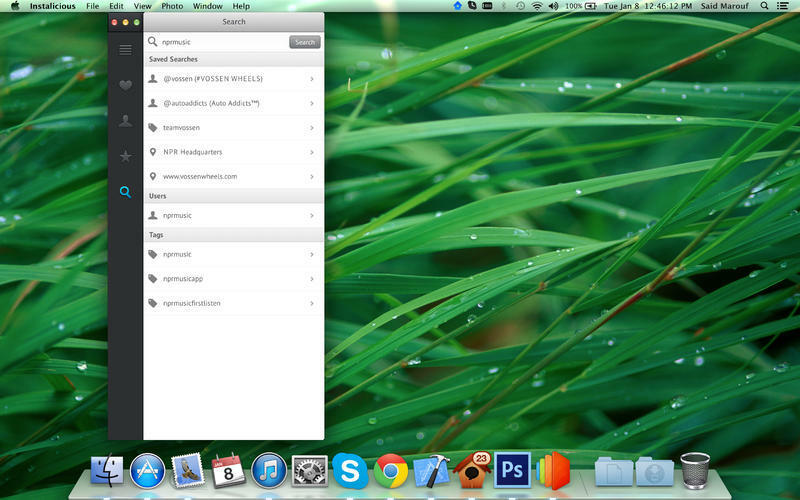 Looks amazing on Retina displays too. Instalicious needs a review. Be the first to review this app and get the discussion started! Instalicious needs a rating. Be the first to rate this app and get the discussion started! Note: Uploading photos is not supported at the moment due to Instagram's limitations on 3rd party apps. You also need an Instagram account to be able to use Instalicious. You can create an account via Instagram's free iPhone app. View your feed, popular photos, photos you've posted, and photos you've liked. View your profile and user profiles. View followers and friends too. Save photos to your Mac. Drag and drop support too. Search for users and tags (prefix with @ to search users only, # tags only). Save your favorite tags, users, and locations. Like and comment on photos. Delete your comments and moderate comments on your photos. View likes and comments on photos. View photos at specific locations. 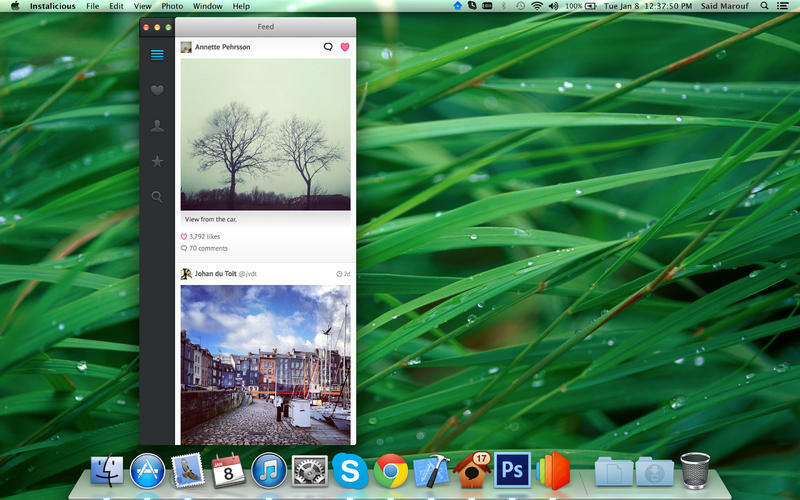 Share photos via Twitter (Mountain Lion only). View full photo size (press the Spacebar). View photos and their authors on Instagram.com. Clickable hashtags and usernames within captions and comments. Double click title bar to scroll to top. Pin to top on refresh (optional).